It’s February and you know what that means — Valentine’s Day is just around the corner. Whether you’re celebrating with someone special, kickin’ it with friends, or going solo on your couch, cocktails are definitely non-negotiable. The question is: How can you create a Valentine’s Day drink that’s on-theme without being overly sweet or (dare we say it?) girly? Our answer: pink gin. Thanks to the addition of Angostura bitters, the botanical spirit maintains its backbone while boasting a blushing shade of pink. Though pink gin can be made at home using four dashes of bitters for every two ounces of gin, we prefer some of the more sophisticated takes on the market. For instance, Gin Lane 1751’s pink gin creates a harmonious balance of fruity, herbal, and bitter by also infusing a touch of grapefruit and cardamom. The great thing about pink gin is that it can be subbed into almost any traditional gin recipe, giving it a slightly sweeter and subtly spicy twist. 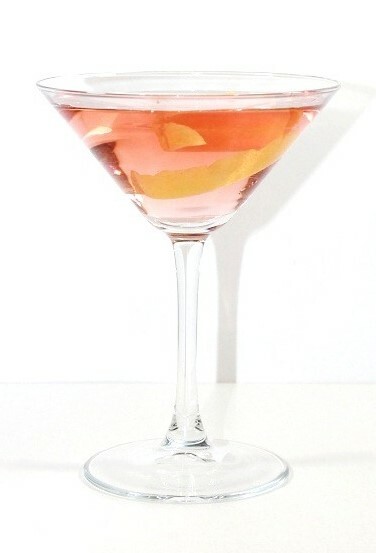 This Valentine’s Day, we’ll be making our rendition of a Gibson martini using pink gin for a lightly rosy hue. Swap out the usual cocktail onions for dried tart cherries. The concoction, complete with the zestiness of a lemon twist, is perfectly festive for the holiday without being sugary, precious, or twee. Add gin and vermouth into a cocktail shaker with ice. Stir with a bar spoon until chilled and strain into a martini glass. Garnish with cocktail cherries and a lemon twist.